The staff will be always available to offer any necessary extra service, like a cook who comes in the villa to prepare a delicious Tuscan menu especially for your group, extra cleaning, baby sitting, etc. Besides, they will be extremely helpful on giving your specific information about tours, nearby wineries to visit, local activities and much more. There is also SAT-TV and WIFI available. 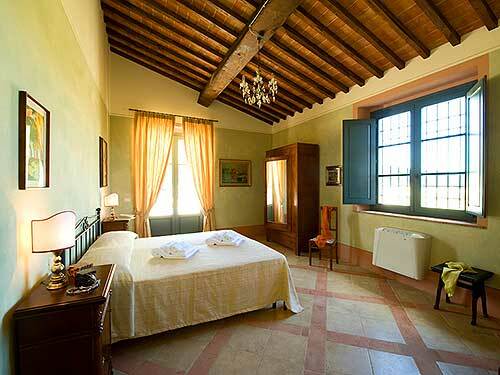 VILLA ALESSANDRO is an excellent choice for a flexible holiday in Tuscany, between the seaside and countryside. This central location between Siena and the Etruscan coast is ideal for day trips in the whole Tuscany, giving the change of visiting some of the most beautiful areas like Siena, San Gimignano, Volterra and on the other hand, visit this wonderful piece of Tuscan coast, with the most clear and enjoyable sandy beaches, with the European environmental certificate (Marina di Bibbona) and the famous Blue Flag. Located in a prime spot for enjoying historical, artistical and cultural activities, Cecina Mare Beach which is only 15 km away from the villa is also great for children! There are 4 bedrooms, each with private bathroom and a large kitchen on the ground floor. Each single detail has been taken care of to provide warmth in this vacation villa, as if it was really like your own home. Making a splendid renovation, the owner took great care about the origins of the villa, creating the same spacious atmosphere as when it has been built, some centuries ago. There is a beautiful Mediterranean garden area with grill, table and chairs. This is the perfect place to have an evening barbeque or sip your early morning coffee while watching the morning sun peek over the softly rolling hills. Left side from the dining room there is a living room suite and a smaller studio with open fire place and table with chairs. Almost every room on the ground floor has a direct exit to the garden. The first floor holds also 4 bedrooms, each with private bathroom. A central stairway leads up to a hall. 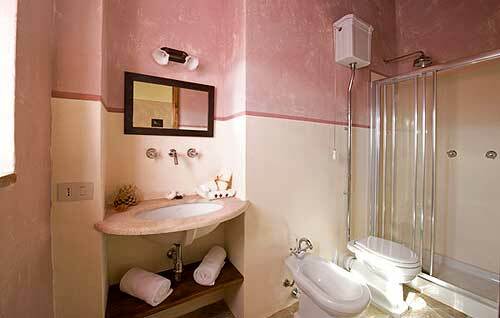 On the left hand side there are 2 bedrooms with double bed (each 30 square meter large) with private bathroom. The first room with breathtaking views, the second with view over the pool. The hall leads to the third and fourth bedroom, each with private bathroom. 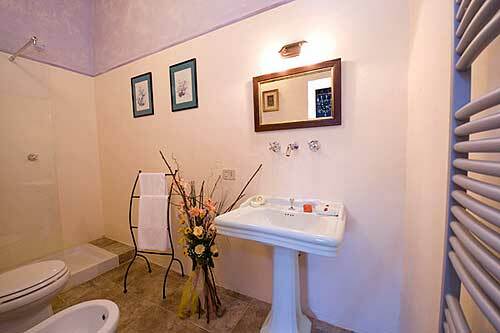 The bathrooms have been all newly renovated with shower, bidet, WC and sink. This location provides the possibility to discover parts of Tuscany that are truly untouched by mass tourism and hold a fascinating charm. Small little towns that have remained untouched over the years - the essence of Tuscany at your finger tips. You should visit CASALE MARITTIMO and MONTESCUDAIO both within 5 minutes drive. The beaches of CECINA are distant only 15 minutes. Click the buttons above to see the agenda of the different apartments.